Captain Crunch is a favorite product line of many kids and even adults! As it is said Captain Crunch was born on Crunch Island in the Sea of Milk – a magical place with crazy creatures and a whole mountain made out of cereal. But bear in mind that this coffee drink has nothing to do with actual cereal anyway. 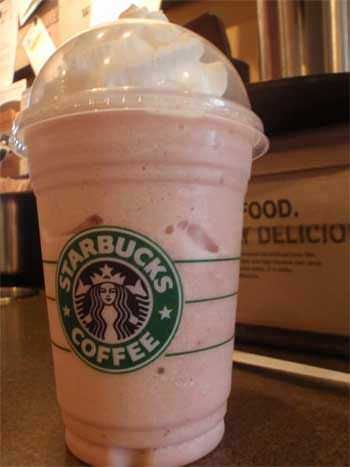 The drink is a simple combination of hazelnut syrup and a regular Frappuccino. Be sure, it tastes like nothing else in the world, just like on a magic island!